We present below four National institutions with pubic mandate to promote all Healthcare aspects of Cardiovascular Diseases. From the 1Chair, ad hoc Committee for Strategic Development, Heart Failure Society of America; 2Member of Executive Council, Heart Failure Society of America and 3Member, ad hoc Committee for Strategic Development, Heart Failure Society of America. The preceding 2 decades had been marked by unprecedented insights into the underlying pathophysiology of cardiac dysfunction that were paralleled by therapeutic advances that, for the first time, were shown to clearly improve outcomes in heart failure patients. At the same time, heart failure prevalence was rapidly increasing throughout the world because of the aging of the population, improved survival of patients with myocardial infarction and other cardiac conditions, and inadequate treatment of common risk factors such as hypertension. More recently the Heart Failure Society successfully promoted establishment of Advanced Heart Failure and Transplant Cardiology as an American Board of Internal Medicine recognized secondary subspecialty of cardiology developed a board review course to help physicians prepare for the certification examination for the new subspecialty and created a national heart failure review course. The Society has Advocacy goals, membership goals – to increase by 10% per year for 3 years from all disciplines of Heart Failure. investigations of immune and non-immune factors affecting late cardiac allograft outcomes. IF the donor age is in the 0- to 19-year-old group the median survival of 11.4 years follows the Heart Transplant. (2) to define ranges of ischemic time associated with differences in survival. Methods: The United Network for Organ Sharing provided de-identified patientlevel data. The study population included 33,640 recipients undergoing heart transplantation between October 1, 1987, and December 31, 2004. Recipients were divided by donor age into terciles: 0 to 19 years (n 10,814; 32.1%), 20 to 33 years (11,410, 33.9%), and 34 years or more (11,416, 33.9%). Kaplan-Meier survival functions and Cox regression were used for time-to-event analysis. Receiver operating characteristic curves and stratum-specific likelihood ratios were generated to compare 5-year survival at various thresholds for ischemic time. Results: In univariate Cox proportional hazards regression, the effect of ischemic time on survival varied by donor age tercile: 0 to 19 years (P .141), 20 to 33 years (P .001), and 34 years or more (P .001). These relationships persisted in multivariable regression. Threshold analysis generated a single stratum (0.37-12.00 hours) in the 0- to 19-year-old group with a median survival of 11.4 years. However, in the 20- to 33-year-old-group, 3 strata were generated: 0.00 to 3.49 hours (limited), 3.50 to 6.24 hours (prolonged), and 6.25 hours or more (extended), with median survivals of 10.6, 9.9, and 7.3 years, respectively. Likewise, 3 strata were generated in the group aged 34 years or more: 0.00 to 3.49 (limited), 3.50 to 5.49 (prolonged), and 5.50 or more (extended), with median survivals of 9.1, 8.5, and 6.3 years, respectively. Conclusions: The effect of ischemic time on survival after heart transplantation is dependent on donor age, with greater tolerance for prolonged ischemic times among grafts from younger donors. Both donor age and anticipated ischemic time must be considered when assessing a potential donor. Heart failure (sometimes called congestive heart failure or ventricular dysfunction) means your heart muscle is not functioning as well as it should. Either the left ventricle (lower chamber of the heart) is not contracting with enough force (systolic heart failure), or the ventricles are stiff and do not relax and fill properly (diastolic heart failure). The treatment of heart failure requires a specialized multidisciplinary approach to manage the overall patient care plan. The George M and Linda H Kaufman Center for Heart Failure is one of the premier facilities in the United States for the care of people with heart failure. The Kaufman Center Heart Failure Intensive Care was the recipient of the Beacon Award of Excellence for continuing improvements in providing the highest quality of care for patients. With over 6,000 ICUs in the Unites States, the Center joins a distinguished group of just 300 to receive this honor that recognizes the highest level of standards in patient safety and quality in acute and critical care. In 2011, Cleveland Clinic received the American Heart Association’s Get With The Guidelines Heart Failure GOLD Plus Certification for improving the quality of care for heart failure patients. Gold Plus distinction recognizes hospitals for their success in using Get With The Guidelines treatment interventions. This quality improvement program provides tools that follow proven, evidence-based guidelines and procedures in caring for heart failure patients to prevent future hospitalizations. Please note Hypertrophic Cardiomyopathy is treated by our Hypertrophic Cardiomyopathy Center. Patients at Cleveland Clinic Kaufman Center for Heart Failure have available to them the full array of diagnostic testing, treatments and specialized programs. 1,570 Number of heart transplants performed at Cleveland Clinic since inception of the Cardiac Transplant Program in 1984. The survival rates among patients who have heart transplants at Cleveland Clinic exceeds the expected rates. Of the 150 transplant centers in the United States, Cleveland Clinic is one of only three that had better-than-expected one-year survival rates in 2011. Mechanical circulatory support (MCS) devices are used in patients with heart failure to preserve heart function until transplantation (bridge-to-transplant) or as a final treatment option (destination therapy). 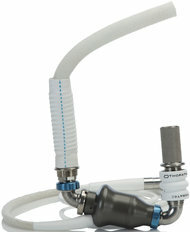 Cleveland Clinic has more than 20 years of experience with MCS devices for both types of therapy. This composite metric, based on four heart failure hospital quality process measures developed by the Centers for Medicare and Medicaid Services (CMS), shows the percentage of patients who received all the recommended care for which they were eligible. Cleveland Clinic has set a target of UHC’s 90th percentile. University HealthSystem Consortium (UHC) Comparative Database, January through November 2011 discharges. The Centers for Medicare and Medicaid Services (CMS) calculates two heart failure outcome measures: all-cause mortality and all-cause readmission rates, each based on Medicare claims and enrollment information. Cleveland Clinic’s performance appears below. Cleveland Clinic’s heart failure risk-adjusted 30-day mortality rate is below the national average; the difference is statistically significant. Our heart failure risk-adjusted readmission rate is higher than the national average; that difference is also statistically significant. To further reduce this rate, a multidisciplinary team was tasked with improving transitions from hospital to home or post-acute care facility. Specific initiatives have been implemented in each of these focus areas: communication, education and follow-up. In 2011, 51% of lung transplant patients were from outside the state of Ohio. Program is the leader in Ohio and among the best programs in the country. 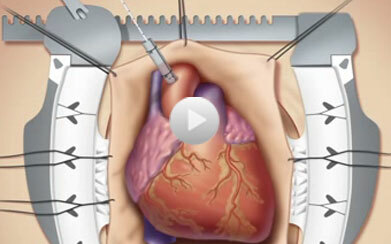 Cleveland Clinic surgeons transplanted 111 lungs in 2011. Our Lung and Heart-Lung Transplant Program is the leader in Ohio and among the best programs in the country. and strive to use autologous vein grafts. such as bypass grafts and stents. In 2011, 36,775 vascular lab studies were performed. Mayo Clinic developed gradually from the medical practice of a pioneer doctor, Dr. William Worrall Mayo, who settled in Rochester, Minn., in 1863. His dedication to medicine became a family tradition when his sons, Drs. William James Mayo and Charles Horace Mayo, joined his practice in 1883 and 1888, respectively. From the beginning, innovation was their standard and they shared a pioneering zeal for medicine. As the demand for their services increased, they asked other doctors and basic science researchers to join them in the world’s first private integrated group practice. Although the Mayo doctors were initially viewed as unconventional for practicing medicine through this teamwork approach, the benefits of a private group practice were undeniable. As the success of their method of practice became evident, so did its acceptance. Patients discovered the advantages to a “pooled resource” of knowledge and skills among doctors. In fact, the group practice concept that the Mayo family originated has influenced the structure and function of medical practice throughout the world. Along with its recognition as a model for integrated group practice, “the Mayos’ Clinic” developed a reputation for excellence in individual patient care. Doctors and students came from around the world to learn new techniques from the Mayo doctors, and patients came from around the world for diagnosis and treatment. What attracted them was not only technologically advanced medicine, but also the caring attitude of the doctors. Through the years, Mayo Clinic has nurtured and developed its founders’ style of working together as a team. Shared responsibility and consensus still provide the framework for decision making at Mayo. That teamwork in medicine is carried out today by more than 55,000 doctors, nurses, scientists, students and allied health staff at Mayo Clinic locations in the Midwest, Arizona and Florida. Mayo Clinic, with transplant services in Arizona, Florida and Minnesota, performs more transplants than any other medical center in the world. Mayo Clinic has pre-eminent adult and pediatric transplant programs, offering cardiac, liver, kidney, pancreas and bone marrow transplant services. Since performing the first clinical transplant in 1963, Mayo’s efforts to continually improve and expand organ transplantation have placed Mayo at the leading edge of clinical and basic transplant research worldwide. Research activities in the Transplant Center at Mayo Clinic have contributed significantly to the current successful outcomes of organ transplantation. People who survive a heart attack face the greatest risk of dying from sudden cardiac death (SCD) during the first month after leaving the hospital, according to a long-term community study by Mayo Clinic researchers of nearly 3,000 heart attack survivors. Sudden cardiac death can happen when the hearts electrical system malfunctions; if treatment — cardiopulmonary resuscitation and defibrillation — does not happen fast, a person dies. After that first month, the risk of sudden cardiac death drops significantly — but rises again if a person experiences signs of heart failure. The research results appear in the Nov. 5 edition of Journal of the American Medical Association. Veronique Roger, M.D., a Mayo Clinic cardiologist provides an overview of the study and it’s findings. In a proof-of-concept study, Mayo Clinic investigators have demonstrated that induced pluripotent stem (iPS) cells can be used to treat heart disease. iPS cells are stem cells converted from adult cells. In this study, the researchers reprogrammed ordinary fibroblasts, cells that contribute to scars such as those resulting from a heart attack, converting them into stem cells that fix heart damage caused by infarction. The findings appear in the current online issue of the journal Circulation. Timothy Nelson, M.D., Ph.D., first author on the Mayo Clinic study, talks about the study and it’s findings. Mayo Clinic doctors’ experience and integrated team approach results in transplant outcomes that compare favorably with national averages. Teams work with transplant recipients before, during and after surgery to ensure the greatest likelihood of superior results. Volumes and statistics are maintained separately for the three Mayo Clinic locations. Taken together or separately, transplant recipients at Mayo Clinic enjoy excellent results. More than 100 heart transplants have been completed since the program began in 2005. Surgeons at Mayo Clinic in Florida have performed more than 167 heart transplants and eight heart-lung transplants since the program began in 2001. Mayo surgeons have performed combined transplants, such as heart-kidney and heart-lung-liver transplants. Mayo Clinic’s outcomes for heart transplantation compare favorably with national norms. Doctors at Mayo Clinic in Minnesota have transplanted more than 450 adult and pediatric patients, including both isolated heart transplants and combined transplants such as heart-liver, heart-kidney and others. **Surgeries before April 11, 2008, were performed at St. Luke’s Hospital in Jacksonville, FL. Heart doctors at the Cleveland Clinic hope to give doctors a way to tell which patients might develop arrhythmia after cardiac surgery. Atrial fibrillation (AFIB) is one of the most common complications of heart surgeries, and also occurs as a complication of elevated alcohol use, high blood pressure, valve disease or thyroid disease. Atrial fibrillation consists of the round parts of the Valentine heart (the atria) shivering chaotically instead of beating rhythmically. Atrial fibrillation is a common arrhythmia, eventually affecting 20% of adults. There are 3 varieties: paroxysmal (intermittent), persistent (continual) and permanent (unremitting). When AFIB lasts longer than 24-48 hours the risk of forming a blood clot in the atria rises, which in turn can cause a stroke or a heart attack. AFIB often results in fast heart rates which may cause low blood pressure and its possible consequences (organ injury, heart attack). Also, prolonged fast rates weaken the heart (reversible rate-related cardiomyopathy), which can persist for months after regaining target ranges for the heart rates (target for rate control is 60-80/minute instead of the fast rates of 100-180/min that are common with untreated AFIB). A scoring system (CHADS2) can predict who may suffer from a stroke due to AFIB that lasts >24-48 hours, and in particular, who may benefit from longterm anticoagulation (blood thinners to interfere with clot formation). A pill-in-the-pocket can stop AFIB within hours. Amiodarone, a highly toxic medication (10% long-term uses face side effects of serious damage to liver, lung, thyroid or eyes), is often prescribed “off-label” (without FDA endorsement) because it is 70% effective in preventing AFIB recurrence, and it has less anticontractility (weakening of the strength of heart beats) than most other rhythm medications. Then next most effective medication for suppression of AFIB long-term is sotalol, which reduces the strength of heart contraction (may not be tolerated by patients with severe heart failure) and it prolongs QT interval of repolarization after each heartbeat, a risk factor for a deadly rhythm called torsades de pointes. 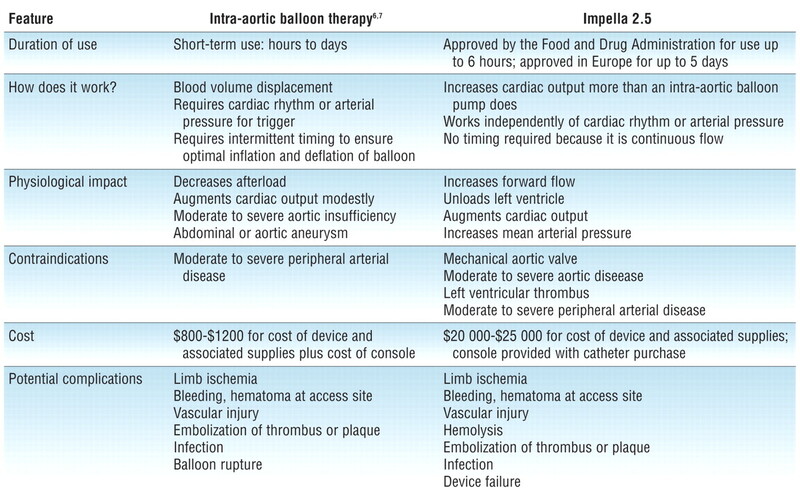 Interventional cures (“AFIB ablation”) have been developed to prevent recurrences. Predicting AFIB may have several benefits: (1) potentially, earlier use of pill-in-the-pocket could prevent episodes rather that wait for them to occur, get noticed, and then treated, as only ~50% of AFIB episodes are noticed by the patient, according to electrographic monitor reports; (2) surrogate endpoint (prediction of onset) may offer useful guidance as to sufficiency of a suppressive therapy to enable lower dosing of toxic treatments; (3) surrogate endpoint (prediction of onset) may offer useful guidance as to sufficient lowering of alohol intake, sufficient control of blood pressure, sufficient control of thyroid abnormalities, and other prevention opportunities; (4) surrogate endpoints may facilitate AFIB ablation. Work done in the lab of Dr. C. Allen Bashour indicated that most patients who experience atrial fibrillation after heart surgery show clues beforehand in the form of subtle changes in their ECG readings that aren’t detected with the way they’re monitored now. Rindex Medical is commercializing a tool that would enable physicians to predict which patients will experience AF so they can receive prophylactic treatment before it occurs. Rindex’s A-50 AF Prediction System uses algorithms developed at the Clinic to analyze a patient’s ECG signals through 17 steps and produce a score, from 1 to 100, of how likely that patient is to experience AF. Arrow said the final product will be a touch-screen monitor that displays a score and tracks the score over a nine-hour period. The Redwood City, California, company has been issued the first of its patents for the device and the exclusive license from Cleveland Clinic to develop the technology. Self-funded by Arrow and co-founders Denis Hickey and Lucas Fairfield, Rindex has a working prototype and is making progress on preparations for its 510(k) application. Arrow said the company shouldn’t need to raise a series A until it’s ready for a clinical trial. Many other research groups have explored ways to predict AF in its various forms from natriuretic peptides to ECG changes, but no method has been established as reliably for this purpose. Atrial fibrillation (AF), the most common cardiac arrhythmia, is categorized by different forms. One sub-type is paroxysmal AF (PAF), which refers to episodes of arrhythmia that generally terminate spontaneously after no more than a few days. Although the underlying causes of PAF are still unknown, it’s clear that predicting the onset of PAF would be hugely beneficial, not least because it would enable the application of treatments to prevent the loss of sinus rhythm. Many research groups are tackling the issue of predicting the onset of PAF. Now, however, researchers in Spain have developed a method that assesses the risk of PAF at least one hour before its onset. To date, the approach has not only successfully discriminated healthy individuals and PAF patients, but also distinguished patients far from and close to PAF onset (Physiol. Meas. 33 1959). If the heart is beating normally, the sinus rhythm observed on an ECG will contain certain generic features, such as a P-wave that reflects the atrial depolarization and a large characteristic R peak flanked by two minima representing the depolarization of the heart’s right and left ventricles. If an irregular heart beat is suspected, an ECG will be used and typical findings include the absence of a P-wave. A major challenge for the researchers was to extract the P-wave from the baseline noise. To overcome this, they used an automatic delineator algorithm based on a phasor transform that determines the precise time point relating to the onset, peak and offset of the P-wave. The authors described this algorithm in a previous research paper (Physiol. Meas. 31 1467). In order to assess which time course features might be useful to predict the onset of PAF, the researchers analysed a number of variables. First, they examined factors representing the duration of the P-wave (Pdur), such as the distance between the P-wave onset and peak (Pini) and the distance between the P-wave peak and its offset (Pter). They then studied factors relating P- to R-waves, such as the distance between the two waves’ peaks (PRk) and, finally, beat-to-beat P-wave factors, such as the distance between two consecutive P-wave onset points (PPon). Jacqueline Hewett is a freelance science and technology journalist based in Bristol, UK. Physiol Meas. 2010 Nov;31(11):1467-85. doi: 10.1088/0967-3334/31/11/005. Epub 2010 Sep 24. Application of the phasor transform for automatic delineation of single-lead ECG fiducial points. Martínez A, Alcaraz R, Rieta JJ. This work introduces a new single-lead ECG delineator based on phasor transform. The method is characterized by its robustness, low computational cost and mathematical simplicity. It converts each instantaneous ECG sample into a phasor, and can precisely manage P and T waves, which are of notably lower amplitude than the QRS complex. The method has been validated making use of synthesized and real ECG sets, including the MIT-BIH arrhythmia, QT, European ST-T and TWA Challenge 2008 databases. Experiments with the synthesized recordings reported precise detection and delineation performances in a wide variety of ECGs, with signal-to-noise ratios of 10 dB and above. For real ECGs, the QRS detection was characterized by an average sensitivity of 99.81% and positive predictivity of 99.89%, for all the analyzed databases (more than one million beats). Regarding delineation, the maximum localization error between automatic and manual annotations was lower than 6 ms and its standard deviation was in agreement with the accepted tolerances for expert physicians in the onset and offset identification for QRS, P and T waves. Furthermore, after revising and reannotating some ECG recordings by expert cardiologists, the delineation error decreased notably, becoming lower than 3.5 ms, on average, and reducing by a half its standard deviation. This new proposed strategy outperforms the results provided by other well-known delineation algorithms and, moreover, presents a notably lower computational cost. Ichimaru Y, Moody GB. Development of the polysomnographic database on CD-ROM. Psychiatry and Clinical Neurosciences 53:175-177 (April 1999). The MIT-BIH Polysomnographic Database is a collection of recordings of multiple physiologic signals during sleep. Subjects were monitored in Boston’s Beth Israel Hospital Sleep Laboratory for evaluation of chronic obstructive sleep apnea syndrome, and to test the effects of constant positive airway pressure (CPAP), a standard therapeutic intervention that usually prevents or substantially reduces airway obstruction in these subjects. The database contains over 80 hours’ worth of four-, six-, and seven-channel polysomnographic recordings, each with an ECG signal annotated beat-by-beat, and EEG and respiration signals annotated with respect to sleep stages and apnea. For further information, see Signals and Annotations. (*) You may follow these links to view the signals and st annotations using either WAVE (under Linux, SunOS, or Solaris) or WVIEW (under MS-Windows). To do so successfully, you must have configured your browser to use wavescript (for WAVE) or wvscript (for WVIEW) as a helper application, as described in the WAVE User’s Guide(see the section titled WAVE and the Web) and in Setting up WVSCRIPT. Andrew Walsh observed that the calibration originally provided for the BP signal of record slp37 is incorrect (since it yielded negative BPs). slp37.hea now contains an estimated BP calibration that yields more plausible BPs; these should not be regarded as accurate, however, since there is no independent calibration standard available for this recording. Proc Inst Mech Eng H. 2010;224(1):27-42. Finding events of electrocardiogram and arterial blood pressure signals via discrete wavelet transform with modified scales. Ghaffari A, Homaeinezhad MR, Akraminia M, Davaeeha M.
Cardiovascular Research Group, Department of Mechanical Engineering, K. N. Toosi University of Technology, Tehran, Iran. A robust electrocardiogram (ECG) wave detection-delineation algorithm that can be applied to all ECG leads is developed in this study on the basis of discrete wavelet transform (DWT). By applying a new simple approach to a selected scale obtained from DWT, this method is capable of detecting the QRS complex, P-wave, and T-wave as well as determining parameters such as start time, end time, and wave sign (upward or downward). In the proposed method, the selected scale is processed by a sliding rectangular window of length n and the curve length in each window is multiplied by the area under the absolute value of the curve. In the next step, an adaptive thresholding criterion is conducted on the resulted signal. The presented algorithm is applied to various databases including the MIT-BIH arrhythmia database, European ST-T database, QT database, CinC Challenge 2008 database as well as high-resolution Holter data gathered in the DAY Hospital. As a result, the average values of sensitivity and positive prediction Se = 99.84 per cent and P+ = 99.80 per cent were obtained for the detection of QRS complexes with an average maximum delineation error of 13.7, 11.3, and 14.0 ms for the P-wave, QRS complex, and T-wave respectively. The presented algorithm has considerable capability in cases of a low signal-to-noise ratio, high baseline wander, and in cases where QRS complexes and T-waves appear with abnormal morphologies. Especially, the high capability of the algorithm in the detection of the critical points of the ECG signal, i.e. 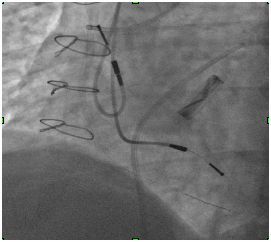 the beginning and end of the T-wave and the end of the QRS complex was validated by the cardiologist and the maximum values of 16.4 and 15.9 ms were recognized as absolute offset error of localization respectively. Finally, in order to illustrate an alternative capability of the algorithm, it is applied to all 18 subjects of the MIT-BIH polysomnographic database and the end-systolic and end-diastolic points of the blood pressure waveform were extracted and values of sensitivity and positive prediction Se = 99.80 per cent and P+ = 99.86 per cent were obtained for the detection of end-systolic, end-diastolic pulses. A robust multi-lead ECG wave detection-delineation algorithm is developed in this study on the basis of discrete wavelet transform (DWT). By applying a new simple approach to a selected scale obtained from DWT, this method is capable of detecting QRS complex, P-wave and T-wave as well as determining parameters such as start time, end time, and wave sign (upward or downward). First, a window with a specific length is slid sample to sample on the selected scale and the curve length in each window is multiplied by the area under the absolute value of the curve. In the next step, a variable thresholding criterion is designed for the resulted signal. The presented algorithm is applied to various databases including MIT-BIH arrhythmia database, European ST-T Database, QT Database, CinC Challenge 2008 Database as well as high resolution Holter data of DAY Hospital. As a result, the average values of sensitivity and positive predictivity Se = 99.84% and P+ = 99.80% were obtained for the detection of QRS complexes, with the average maximum delineation error of 13.7 ms, 11.3 ms and 14.0 ms for P-wave, QRS complex and T-wave, respectively. The presented algorithm has considerable capability in cases of low signal-to-noise ratio, high baseline wander, and abnormal morphologies. Especially, the high capability of the algorithm in the detection of the critical points of the ECG signal, i.e. the beginning and end of T-wave and the end of the QRS complex was validated by cardiologists in DAY hospital and the maximum values of 16.4 ms and 15.9 ms were achieved as absolute offset error of localization, respectively. Fig. 1. FIR filter-bank implementation to generate discrete wavelet transform based on à trous algorithm. Fig. 2. Graphical representation of the logic of the proposed simple transformation for detecting onset and offset edges. In case I, both area and curve length are minimum, (ACLI < ACLII ≤ ACLIII). Fig. 3. The flow-chart of the proposed wavelet-aided electrocardiogram delineation algorithm (rectangle: operation, ellipse: result). Fig. 4. An excerpted segment from a total delineated ECG. Delineated (a) P-waves, (b) QRS complexes and (c) T-waves. (Circles: edges of event, triangles: peak of events, Partition A: lead I, Partition B: lead II). Fig. 5. Procedure of detecting and delineating of P and T-waves using ACL signal between two successive QRS complexes. (a) Simultaneously depiction of ACL, original ECG and the corresponding selected DWT scale, (b) QRS delineation, and (c) P and T-waves delineation. 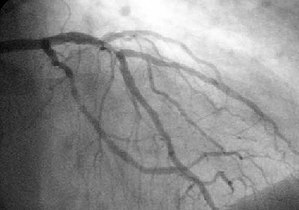 Cause for Increased Cardiovascular Risk: proatherosclerotic metabolite, trimethylamine-N-oxide (TMAO). W.H. Wilson Tang, M.D., Zeneng Wang, Ph.D., Bruce S. Levison, Ph.D., Robert A. Koeth, B.S., Earl B. Britt, M.D., Xiaoming Fu, M.S., Yuping Wu, Ph.D., and Stanley L. Hazen, M.D., Ph.D. Recent studies in animals have shown a mechanistic link between intestinal microbial metabolism of the choline moiety in dietary phosphatidylcholine (lecithin) and coronary artery disease through the production of a proatherosclerotic metabolite, trimethylamine-N-oxide (TMAO). We investigated the relationship among intestinal microbiota-dependent metabolism of dietary phosphatidylcholine, TMAO levels, and adverse cardiovascular events in humans. We quantified plasma and urinary levels of TMAO and plasma choline and betaine levels by means of liquid chromatography and online tandem mass spectrometry after a phosphatidylcholine challenge (ingestion of two hard-boiled eggs and deuterium [d9]-labeled phosphatidylcholine) in healthy participants before and after the suppression of intestinal microbiota with oral broad-spectrum antibiotics. We further examined the relationship between fasting plasma levels of TMAO and incident major adverse cardiovascular events (death, myocardial infarction, or stroke) during 3 years of follow-up in 4007 patients undergoing elective coronary angiography. Time-dependent increases in levels of both TMAO and its d9 isotopologue, as well as other choline metabolites, were detected after the phosphatidylcholine challenge. Plasma levels of TMAO were markedly suppressed after the administration of antibiotics and then reappeared after withdrawal of antibiotics. Increased plasma levels of TMAO were associated with an increased risk of a major adverse cardiovascular event (hazard ratio for highest vs. lowest TMAO quartile, 2.54; 95% confidence interval, 1.96 to 3.28; P<0.001). An elevated TMAO level predicted an increased risk of major adverse cardiovascular events after adjustment for traditional risk factors (P<0.001), as well as in lower-risk subgroups. Supported by grants from the National Institutes of Health and its Office of Dietary Supplements (R01HL103866 and 1P20HL113452). The clinical study GeneBank was supported by grants from the National Institutes of Health (P01HL098055, P01HL076491, R01HL103931, and R01DK080732) and a Cleveland Clinic/Case Western Reserve University Clinical and Translational Science Award (UL1TR000439). 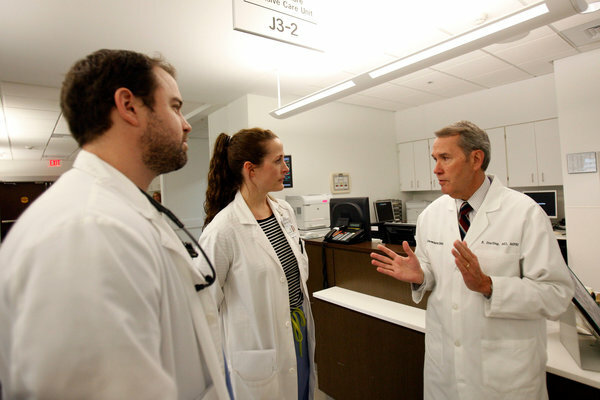 Dr. Hazen was supported by a gift from the Leonard Krieger Fund. Mass spectrometry instrumentation used was housed within the Cleveland Clinic Mass Spectrometry Facility with partial support through a Center of Innovation by AB SCIEX. We thank Linda Kerchenski and Cindy Stevenson for their assistance in recruitment of study participants and Amber Gist and Naomi Bongorno for their assistance in the preparation of earlier versions of the figures and the manuscript. From the Department of Cellular and Molecular Medicine, Lerner Research Institute, Cleveland Clinic, Cleveland. Address reprint requests to Dr. Hazen at the Cleveland Clinic, 9500 Euclid Ave. NC-10, Cleveland, OH 44195, or at hazens@ccf.org. This article has no abstract; the first 100 words appear below. The Galtonian distinction between the influence of genetics and environment on phenotype is now widely recognized as an overly simplistic dichotomy. Genes and environmental factors interact in myriad ways to modulate and modify the biology of all living organisms, challenging the notion that these two principal determinants of phenotype can ever truly act independently of each other. Environmental exposures and experiences can have a direct influence on the expression of genes through epigenetic processes or on the function of gene products through post-translational modification. Likewise, genetic factors influence the consequences of environmental exposures or stresses on the organism. WEDNESDAY, June 27 (HealthDay News) — People with an advanced form of a heart infection called endocarditis may do better if they undergo early surgery than if they are treated with antibiotics initially, a new study suggests. “Early surgery can be the preferred option to further improve clinical outcomes of infective endocarditis, which is associated with considerable morbidity and mortality,” said study author Dr. Duk-Hyun Kang, a cardiologist at University of Ulsan College of Medicine in Seoul, South Korea. “If a patient with infective endocarditis has large vegetations and severe valve disease, we would advise them to request early referral to medical centers with adequate experience and resources for early surgery,” Kang said. 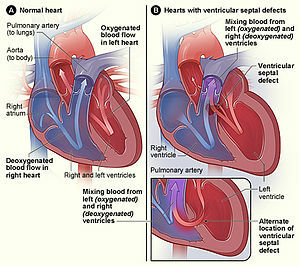 The new study “showed that patients with the combination of large vegetations and valve dysfunction, even if they are stable and not in heart failure, have a high risk of suffering serious embolic events or to progress to heart failure with need for emergency surgery and that early surgery prevented these complications,” said Dr. Gosta Pettersson, co-author of an accompanying journal editorial and vice chair of thoracic and cardiovascular surgery at the Cleveland Clinic in Ohio. Surgery does have its share of risks, however. “Historically, surgery for infective endocarditis was high-risk surgery, and the risk of recurrent infection on the replacement valve was also high,” he said. “Today, several publications have demonstrated that the added risk of operating on a patient with active infection has been more or less neutralized,” Pettersson added. Most people with infective endocarditis are treated with antibiotics. “We reserve surgery for people whose infections don’t resolve, have fever or bacteria in the bloodstream or whose valves get destroyed,” Green noted. Learn more about infective endocarditis at the American Heart Association.